Toilets are prone to breaking down, but--luckily--some problems are also easy to fix. While there are numerous reasons you should skip DIY home repairs and dial up a professional instead, there are -- thankfully -- some fix it jobs you can easily tackle. And luckily they involve one of the most vital, overworked appliances in the home: The toilet. Toilets are prone to breaking down, clogging up and over running. But these snafus can be quickly fixed with a little know-how. Let's get you started on the path to handyman wisdom by diagnosing two of the most common problems and revealing their solutions. Besides being annoying, a constantly running toilet will spike your bill and ruin the appliance since the excess water will erode the bowl, leading to a leak. Lift the tank lid and flush the toilet. Listen and watch the water level. If the water level does not rise but the water continues to run, the flapper is not engaging. Reach down into the tank and push the flapper down and try flushing again. If the toilet continues to run, the flapper is most likely not engaging. Make sure the flapper is properly aligned and not getting hung up on the chain. If none of these steps work, you may need a new flapper. 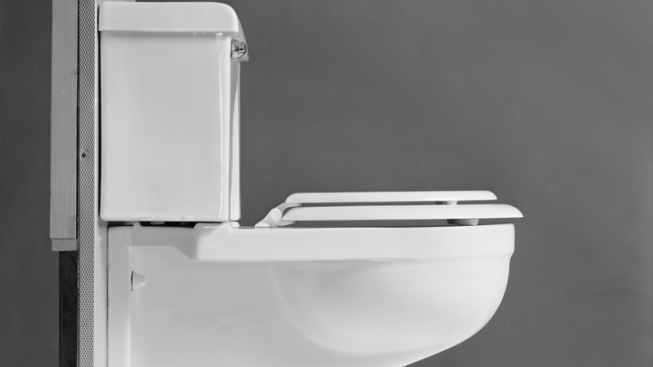 Ensure your toilet is as comfortable as possible by replacing the cracked, misaligned or poor fitting seat. Measure the existing seat and make sure the new one is the exact same size. Use a flathead screw driver to lift the plastic bolt covers off of the seat. Hold the nut below the screw with a set of pliers and remove screws. Thoroughly dry the screw holes before replacing. Install the new seat, making sure it is properly aligned and the screws are tight. Both of these repairs require only a few minutes of your time and lead to a more livable environment, not to mention more money in your wallet. For more complex problems, like a leaking toilet, it's best to contact a trained professional at Michael & Son.